Lord Summerisle looks back at the efforts of both the Marvel and the DC Universe to dominate the popular TV and film adaptations of successful comic book franchises in 2017, highlighting a few favourites and outlining why he feels that some of them fell flat. This year saw another truck load of all things superhuman land on our large and small screens. The TV series race of DC and Marvel included new seasons of Gotham, The Flash, Supergirl, Legends of Tomorrow and Arrow. Marvel had the ensemble tie-in The Defenders, which featured the characters from their own stand-alone series' Daredevil, Jessica Jones and Luke Cage, as well as Iron Fist who had his stand-alone show earlier in the year. There was also a fifth series of Agents of S.H.I.E.L.D. Throughout the year they brought out several other new shows from Legion to later in the year Inhumans, The Punisher and The Gifted. I think that rounds them all up! Personally, I don't really get along with the DC brand of television series. All of the above DC offerings, aside from Legends of Tomorrow (which I have not seen), I have attempted to watch but have bailed after no more than one season. The reason for this is that they all failed to engage me on anything more than a surface level. The Flash and Supergirl were tiresome only a few episodes in, but I had no real expectations from either. Arrow, despite its very Batman-like set up, began intriguingly with the hook being the protagonist’s island flashbacks, but plot strands quickly developed into soap opera, and there is only so much of young beautiful extremely wealthy characters trying to seem tortured that I can stand without nausea. Gotham, however, had me snared as a big Batman fan, but I found it disappointing. What I think we have in Gotham is a Batman show with no Batman. It takes out the main ingredient and tries to fill the void with less interesting characters. Any attempt at grittiness is foiled by its pandering to the same audience of the other shows, making it middle of the road, inoffensive and a bit sterile, despite affectations of the darkness associated with the ‘dark knight' vision of Batman. Now, I am very aware of the possibility of judging these shows prematurely, and it is possible they may have evolved into better animals by now. Although from what I have seen they all seem to follow the same trajectory of the origin story, the blueprint of which was out down with Smallville, where in later seasons we are shown proto versions of the characters we know, and/or versions of well-liked characters from the original comic book material, strewn about in that post-Dawsons Creek and The OC style drama. I can't speak for the other show mentioned, but I have heard little that goes against this DC series formula. The contrast with much of the Marvel offerings is quite marked. Their solo hero efforts received mixed reaction, with the new Luke Cage and Iron Fist not living up to the more impressive Daredevil and Jessica Jones. Daredevil is a particular favourite of mine with great performances, a decent story arc and stunningly brutal fight scene choreography, creating a dark yet thrilling ride. So, I was rather excited for the years spin-off, The Punisher. I was happy to not be let down, as Daredevil's ugly ally proved all it had promised to be. The reprised central role by John Bernthal was fleshed out to see a more three-dimensional character, where Frank Castle's past is explored and his softer side, as a father and a friend, are made more apparent. Also, his (very changed from the source material) ally Micro and his Machiavellian best-friend-turned-nemesis Billy Russo (Ben Barnes) deserve special mention as superb supporting players. I found Ebon Moss-Bachrach as Micro particularly engaging, and towards the end of the series I found myself more invested in his character than Bernthal’s. The violence is indeed 'punishing' – firearms battles are shot with ballistic frenetic urgency and the hand-to-hand fighting is bone-crunchingly and sometimes stomach-churningly nasty. It is in these environments that Bernthal's sheer physical presence takes hold and there are many scenes where his raging, roaring, animalistic ferocity is genuinely frightening. In fact, this version of Frank Castle is closer to the edge than any anti-hero vigilante that I have seen for some time. 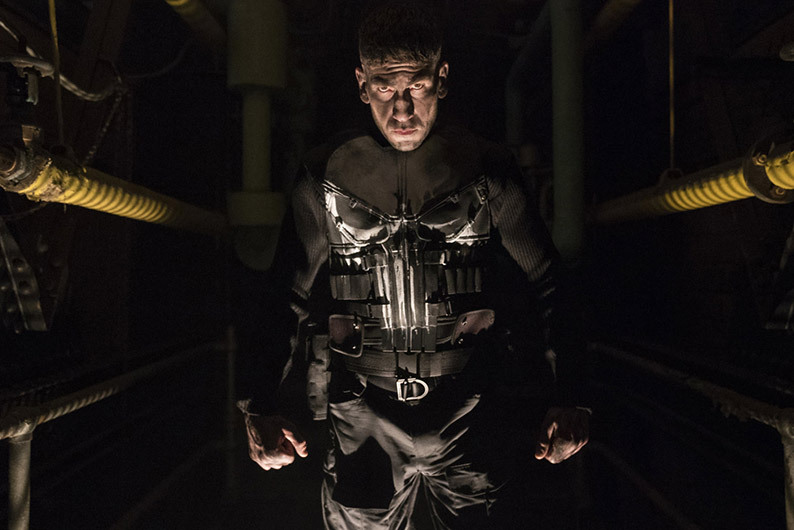 He is the most dangerous of men – someone with nothing to lose, and this dark desperation oozes from Bernthal in every scene. His choice to use lethal force when necessary is much more believable than Oliver Queen's character in Arrow, who also goes against the Batman ethos of not killing. There is also a serious point being made about the price paid by the young recruits to the armed forces and the moral ambiguity of the American military MO overseas, as much of the plot concerns itself with what people do after their time in the forces. A young PTSD-suffering ex-soldier becomes a serious antagonist in the series, and this part of the story rings disturbingly true. So, this is no pro-US propaganda piece, although I don't think you would see Castle at any anti-gun rallies! The Gifted was another example of the diversity of Marvel's franchise, with a story centring around a family, the Struckers, on the run with a rebel mutant group when the two children publicly uncover their mutant abilities. Set in a world similar to Legion and Logan (both of which I will come back to) and seemingly in the present day, here mutants have been public for a long time and have been the victims of prejudice from regular humans. After a large explosion is caused by a group of protesting mutants, a government agency called Sentinel Services is formed to keep an eye on mutants, and it is from this group our protagonists are running. So, already one can see the parallels between mutants and minorities in the U.S, their repression, and their demonisation as terrorists and subversives of society. Here it is the mutant gene that makes you different, not race, gender or sexual orientation. The guy in charge of Sentinel is a black man, and one with what he thinks is a valid reason to be anti-mutant. The group the family find shelter within are deemed a terrorist organisation and are number one on Sentinel Services hit list. Within the political set up is the domestic one, one that could be seen as a typical white, middle class, nuclear family – father, mother and teenage boy and girl. What makes them different, though, is that the children have been harbouring secret mutant abilities, which come out at a party where the seventeen-year-old Lauren helps her brother, the younger Andy, from a shock wave that Andy emitted himself when protecting himself from bullies. When the parents find out, the issue is complicated by dad Reed (Stephen Moyer of True Blood fame), who works as a lawyer helping to put away mutants. His own allegiances must be re-evaluated when he is put in the position of running with the people he has made a career out of putting away. And this is all without the super-hero action which is plentiful yet well used. It makes something like Arrow look like The Kardashians (which it doesn't seem a million miles from anyway, on occasion)! 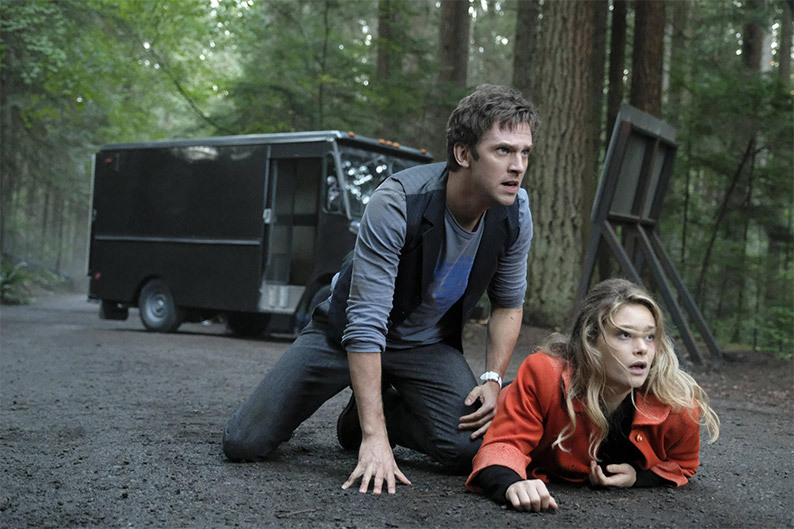 The last of the Marvel TV series' I wish to praise is Legion, a show that uses the superpower of its protagonist as a means to conjure things a form one seldom sees on mainstream television at all, let alone on a 'superhero' programme. We dip in and out of David, the reluctant hero's mind (played wonderfully, and often with a confusion the audience can identify with, by Dan Stevens) which is depicted as a slippery, non-linear and unreliable thing. We follow on his heels as David tries to keep up with revelations about his incredibly powerful mental abilities, which have been interpreted as mental illness and landed him in a psychiatric hospital reminiscent of One Flew Over the Cuckoo’s Nest. The narrative thrust is reasonably conventional and there is a Fight Club-esque twist that the sharper viewer might pick up on, although personally I didn't. If you want to be challenged by something as well as enjoy some super-powered action, then Legion is really the only series out there to do both with real flair. Then there was the supergroup movie, Justice League. Those of the not-so-comic-book-nerd persuasion could be excused for thinking this is a DC copy of Marvel's Avengers, yet although they got there first in the film world, The Avengers were originally inspired by The Justice League (of America) comics. As a youngster, I was mostly in the DC camp, so it pains me to have to admit their recent cinematic efforts have been so disappointing, but again Justice League lacked the vitality of their Marvel equivalent. Although I am not a huge fan of the Avengers/Captain America series (I only really enjoyed the first Avengers film), the filmmakers managed to pretty successfully translate each of the characters’ personalities, from their stand-alone movies as well as creating an entertaining dynamic in the interactions of the group. In Justice League, none of the characters seem fully realised and there is precious little chemistry between them. 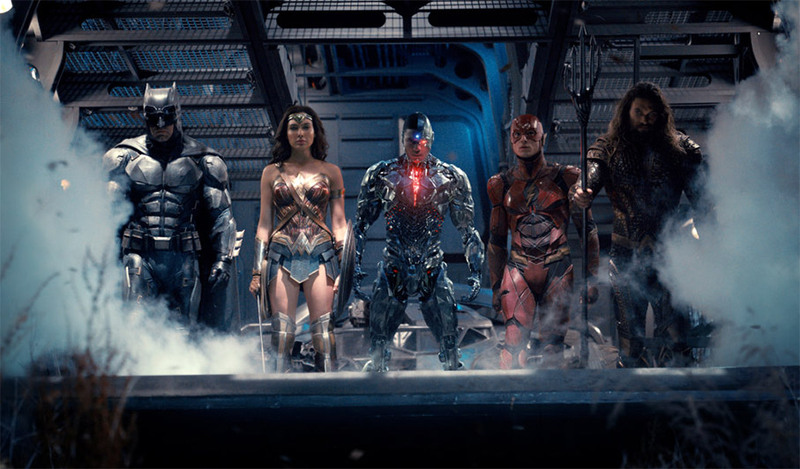 This is down to in some part a lack of fleshing out some of the key heroes – The Flash, Aquaman and Cyborg are all new to the DCEU and have no time to build their own individual personalities before they are all thrust together. Due to this, the script tries to shoehorn in characterisation in dialogue which is often awkward. Much of the comic relief is supposed to come from Ezra Miller's Flash, but he is overshadowed by the Marvel equivalent in Evan Peter's Quicksilver, who was easily the best thing about X-Men Apocalypse. So once again, an original DC creation has been usurped by its Marvel copy in the cinema. Also Wonder Woman is a reduced presence in comparison to Dawn of Justice, as well as her own stand-alone film, and the two big hitters of the franchise – Batman and Superman, never really have much gravity either. I have never been a fan of Henry Cavill as Superman, but really think that in the right hands Ben Affleck's Batman could be very good, and it is especially frustrating to see his potential being wasted in this film. Marvel, meanwhile, churned out a few good efforts on the silver screen. Wolverine fans finally got a stand-alone film to sink their claws into with Logan, a much more adult look at the character than was presented in any of the previous Hugh Jackman films. This one has Jackman playing an older, more world-weary Logan in a ferocious and bloody version of the cult comic series Old Man Logan. There is more than a touch of Clint Eastwood's Unforgiven in the film, although not as much as in the original comics, where Logan is forced to unsheathe his claws and leave his new life as a peaceful farmer to avenge the death of his wife and son. The film sees the character as the lone wolf he has always been, but his age is starting to show and his body isn't what it used to be. I think the filmmakers enjoyed really letting rip with an adult rating as there is a startling amount of gore, not to mention bad language, but with that also comes a realistic (or as realistic as a Wolverine film can get) look at Logan and Professor X – Patrick Steward's finest job in the role. With the latter character, there are hints of dementia, and how an awesomely powerful mutant with telekinetic abilities might endanger the people around him with an uncontrollable mind. There are also riffs on dysfunctional family, not only with these two but with the inclusion of a little girl Logan takes under his wing, making three generations of mutant. The ending is genuinely moving, at least for a comics nerd like me, but after hearing the opinions of others, I don't think I was alone in getting emotional! The other two films I want to mention have an altogether more light-hearted feel to them, especially Spider-Man: Homecoming, which I had reservations about. I had become a bit Spideyed-out. After the Sam Raimi trilogy was rather speedily followed by a reboot with Andrew Garfield filling Toby Maguire's boots as the titular web-slinger, I thought maybe this was a reboot too many. This was my thinking at the time of Tom Holland's first Spider-appearance in Captain America: Civil War in 2016, as I knew the stand-alone film was already in the pipeline. The thing is, I actually enjoyed this new film with a childlike relish that I only get from uber-nerding out and/or serious nostalgia. This was a little of both. When Peter Parker is excitedly exploring the functions of his extremely hi-tech costume given to him by Tony Stark (Downey Jr as charismatic as always), I am right in the suit with him, sharing his teenage sense of awe, as he does a lot of cool stuff. I guess that as a man now in my mid-thirties, it is a great treat to revert back to a teenager for a couple of hours – and this was one of the films that facilitated such a brief but wonderful transformation. Also, aside from Iron Man himself there are some great supporting roles, from Michael Keaton as the villain to the young Jacob Batalon, who is hilarious as Peter Parker's best mate – his excitement at finding out his BFF is Spiderman also got in touch with my inner kid. As a fan of Jon Favreau's work in front and behind the camera, it was great to be treated to his appearance as Stark sidekick Happy Hogan as he and his boss act as exasperated babysitters saddled with trying to keep the exuberant Spiderman under control (Happy's way of dealing with this is to generally just ignore the kid). All in all, it was a welcome change to be transported from efforts to display some grim reality to something that was altogether more comic like. The comedic vigour is unsurprisingly present in the year's Guardians of The Galaxy: Vol. 2. I admit my comic book knowledge doesn't extend to this mob and the first film was my introduction to them. I found the first volume's superhero movie given the sci-fi treatment a lot of fun, helped for me by the use of a 1980s soundtrack, something the sequel replicates. 2017 was quite a year of 80s nostalgia in film and TV, which I explore in another part of this bumper lowdown. Anyway, the first film has the through-line theme of friendship and how a united front can triumph over individualism (highlighted in the absurd climactic scene). The second develops the theme into the classic Marvel paradigm of family when Star-Lord's (Chris Pratt) celestial dad turns up. This character is played with infectious Kurt-Russellness by Kurt Russell, and his friendly down-to-earth manner belies his true nature – his name is Ego, for God's sake! And while Pratt is getting to know his father, Bradley Cooper's talking Raccoon (don't let him hear you call him that!) Rocket ends up forming an unlikely alliance with Michael Rooker's mercenary Yondu, who was a bit of a bad guy in the Volume One. There is a lot of sci-fi hijinks with these two and the adorable baby version of Groot before they re-join the others for a big finale. In the end, Star-Lord comes to understand that being a father isn't always genetic after seeing Ego's true agenda and witnessing Yondu's fatherly sacrifice. There is also a subplot built around the colourful warring sisters Gamora (Zoe Saldana) and Nebula (Karen Gillan), who make peace of a sort by the film's conclusion. Basically, this is an enjoyable technicolour space adventure that at its heart explores fundamental questions of identity, and has a final act that is more touching than it has any right to be! So, DC have some serious ground to cover this year if they want to compete with the dominant force of Marvel. When Marvel became part of the Disney group, it was always going to be a juggernaut (there's one for the fans!) and DC really needed to make their fewer films stand out in order to contend with the more plentiful Marvel offerings, but have not really been able to do so. Where TV is concerned, they do have an audience for their rather light brand of superhero drama, although for more complex adult themes and formic creativity Marvel are streets ahead.